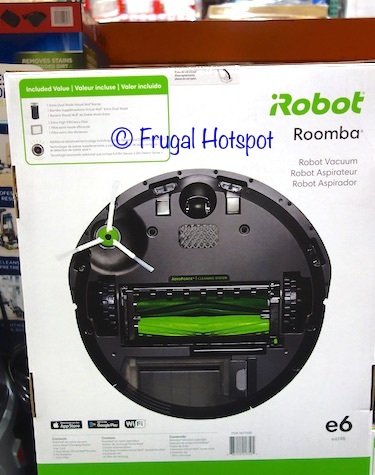 The manufacturer suggests that this vacuum is ideal for homes with pets due to the high-efficiency filter that can capture up to 99% of mold, pollen, dust mite, dog and cat allergens. 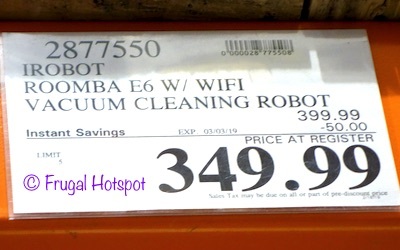 Select Costco locations have the iRobot Roomba E6 Wi-Fi Connected Vacuum Cleaning Robot on sale for $349.99 (after instant savings), now through March 3, 2019. 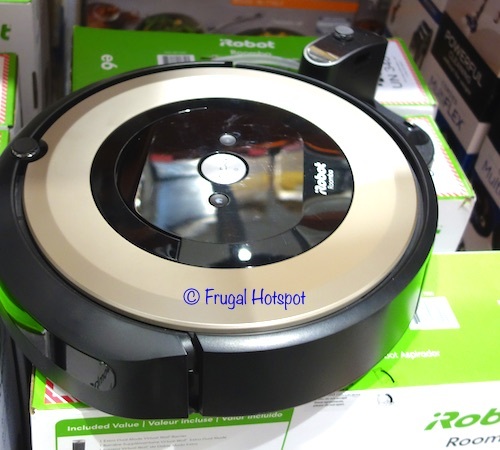 That is $50 off Costco’s regular price of $399.99. While supplies last. Item #2877550. Model e619820. Price and participation may vary so it may not be available at your local Costco or it may not be on sale at your local Costco or it may be a different price at your local Costco. Prices & sales dates may change at any time without notice. Photos may not be a perfect representation of the product.